Call us at 815-729-2002 today. Welcome to Everything In Sight in Joliet. Ann Todd and the Everything In Sight team strive to provide the best in optometry services. We invite you to browse our website to learn more about our optometry services and join our patient family by scheduling an eye exam appointment at our Joliet office. Everything In Sight is a full service eye and vision care provider, accepting both eye emergencies as well as scheduled appointments. 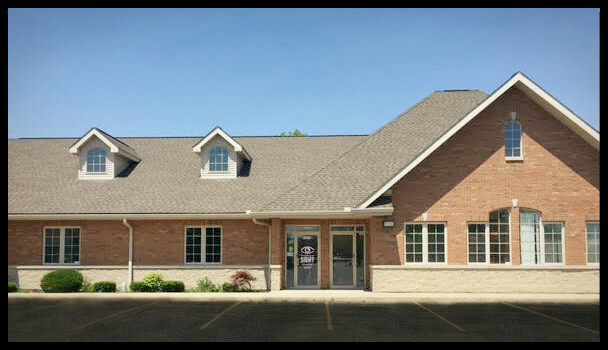 Patients throughout the Joliet area come to Everything In Sight because they know they will receive the personal attention and professional care that is our foundation. Todd and our team are dedicated to keeping our patients comfortable and well-informed at all times. At Everything In Sight, we will explain every exam and procedure and answer all of our patients' questions. Additionally, at Everything In Sight, we offer vision financing options and will work with vision insurance providers to ensure good eye health and vision care for all of our patients. Our one-on-one approach to optometry makes Todd and the Everything In Sight staff the eye and vision care providers of choice in the Joliet area. Our Joliet optometrist offers the following services: complete eye exams, contact lenses, glasses, glaucoma testing, and pre- and post-operative care. For a complete list of services, visit our services page or call our Joliet office at 815-729-2002. At Everything In Sight, we are dedicated to providing high-quality optometry services in a comfortable environment.Call us at 815-729-2002 or schedule an appointment today online. Our In-House Technician has been working in optical for over 20 years. Bringing precision and technical skill to all eyeglass repair jobs and adjustments. He strives to make sure your glasses fit perfect and will work with you to adjust them to your face. Hours are Thursdays 5-7pm and Saturdays 9-1pm. Summer works closely with Dr. Todd and the staff helping patients and ensuring appointments run smoothly. She specializes in finding the right frames for every face. She is happy to help and answer all questions you may have to make sure you have the best experience and leave feeling great about your choices. In her spare time she works as a freelance makeup artist for proms and weddings. She loves spending time with her husband,daughter and puppy Beef Wellington. "Dr. Todd is excellent and her staff is exceptional! She was wonderful with our two children as well as with myself and my husband. They had a great variety of frames and the office was clean and tidy. My glasses arrived quickly and have been perfect." "I was very pleased with Dr. Todd and her staff. I was greeted very warmly by the office manager, Summer, and did not wait for more than a moment or two for the doctor. I felt very at ease with Dr. Todd. She was very attentive during our time together. I look forward to seeing her again." "I've been going here for quite a while, 5 to 10 years, and they are the only eye doctor(s) who have been able to properly diagnose my sensitivities to things and give me the correct prescriptions the first time without having to get a follow-up exam, etc. (which I've always had to do with other places). The glasses and contacts have always been spot-on with the prescriptions and their new doctor, Dr. Todd, is great. She takes the time to explain things and as with her predecessor, Dr. Jackson, never rushes you or makes you feel you're on a time table. She takes the time necessary to make sure you are satisfied with everything. The staff is great and will make sure you are taken care of, whatever it takes. I drive 50+ miles just to go here and it's worth it. Thanks!"